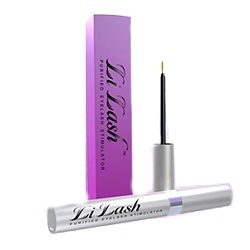 Lilash is the most powerful, non irritating Eyelash serum on the market. It fortifies and conditions the Lashes and used daily as you would a normal eyeliner,initially for 4-6 weeks, this magic conditioning serum will give the appearance of the longest, fullest Lashes you have ever had. Lilash is a favourite of eyelash extension wearers who notice better support and less lash breakage. Nothing is sexier than gorgeous dramatic eyes. Now your own, conditioned eyes are the ultimate accessory. Start using today and luxurious lashes will be yours, with the highest quality, fastest - acting follicle conditioning serum ever developed. Your larger tube will last approx 6 months and thereafter up to a year. Get yours now from Classic Tan - seeing pricing here.